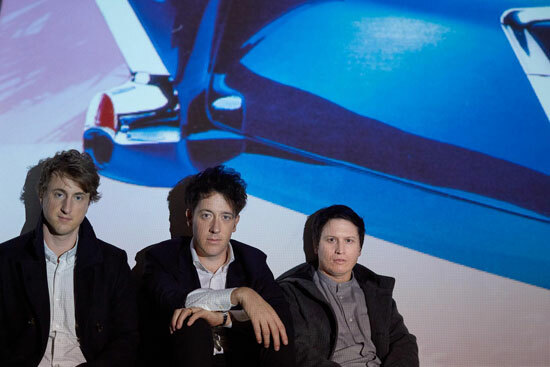 Since releasing 2007’s A Guide to Love, Loss & Desperation, rock trio the Wombats have been building a dedicated following. The Liverpool, England group scored in the U.K. and Europe with its first three albums, 2015’s Glitterbug cracked the U.S. market. The band’s latest, Beautiful People Will Ruin Your Life, is set for release in February; a single, “Lemon to a Knife Fight,” has already been released, and this summer the Wombats will tour America with Weezer and the Pixies. But ahead of that, there’s a headlining tour. Though the Wombats’ success in the U.S. took longer to materialize, the band’s guitarist, lead vocalist and lyricist Matthew “Murph” Murphy says that the group now “plays similar size venues on both sides of the pond.” He suggests that breaking through in America took a bit longer because his lyrics “are not easily digestible.” But Murph believes that good things come to those who are patient. “There’s something more rewarding about that than having it all come to you at once,” he says. The lyrics of tunes like “Lemon to a Knife Fight” might be inscrutable to American audiences, but the Wombats’ groove – especially onstage, where Murph believes the band is at its best – is undeniable.